PLEASE CALL US or USE OUR RESERVATION FORM! In addition, this menu will be offered on Friday, February 15 & Saturday, February 16 along with our normal menu. 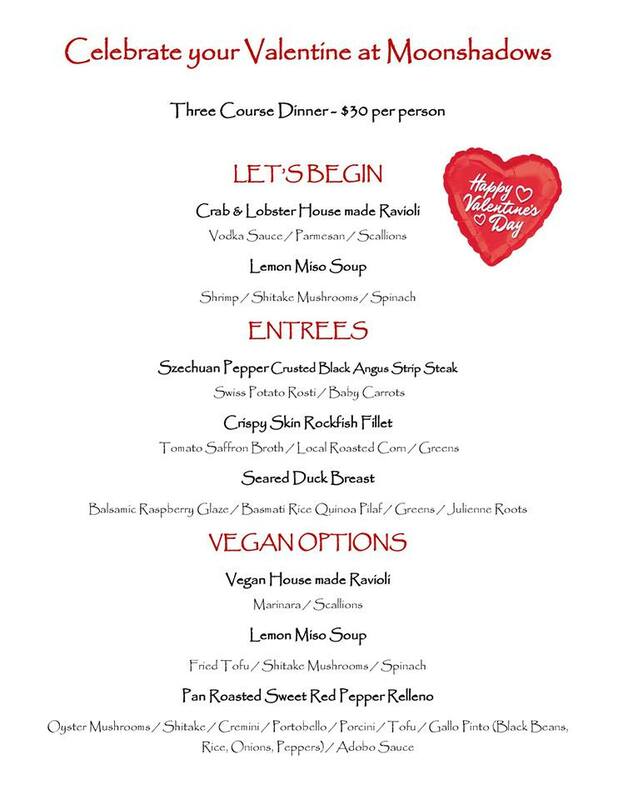 Note: If you want this menu on Friday or Saturday, please use code: VALENTINE when making a reservation.